Cloud computing is the "now" stage in the Internet's evolution, providing the means through which everything — from computing power to computing infrastructure, applications, business processes to personal collaboration — can be delivered to you as a service wherever and whenever you need. The innovators, early adopters and early majority have already incorporated cloud-based systems into the management of their organization successfully and are now looking for the next cloud wave that will enhance their workflow (and ultimately, their bottomlines) into 2018. If you are part of the late majority who is apprehensive about making the jump, think of it this way: Cloud computing is all around us. If you have an email account hosted by Gmail or Yahoo, you have accessed the cloud. These popular e-mail services are not provided through your computer, but through remote access on the cloud instead. 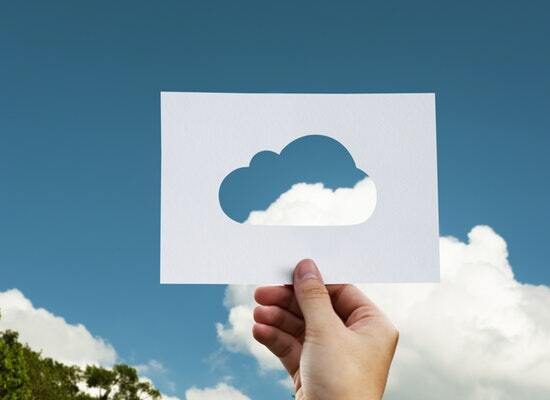 Cloud-computing starts small but extends deep into the vast world of highly intelligent technological developments that don't just cut costs, but deliver scalability, flexibility, agility and risk management. John Eisele, VP of Business Development for DDC USA, answered six questions to put the significance of cloud-computing and its own evolution into perspective. 1. How has the cloud computing landscape changed in the last several years? The significant changes in the landscape are the players, the technology and the costs. Only a few short years ago, cloud computing was referred to as data center housing, with a direct connection to the customer. Today, the high speed internet based VPN connections and hosting technologies have improved, in addition to a dramatic cost reduction across the board. 2. How are companies using cloud computing to be innovative? Are these enterprise organizations, start-ups or small businesses too? DDC USA is a business process and knowledge process outsourcer (BPO & KPO). We are not an IT company. We know the importance of staying in our lane and focusing on what we do best. So, we outsourced our infrastructure to the world leader in cloud-based computing, Amazon. The Amazon Cloud Model infrastructure offers 99.99% durability and 99.9999% availability. Our clients feel secure knowing that their data is being processed on an infrastructure that is compliant with the major security certifications, attestations and industry best practices including HIPAA, ISO 27001, SOC 1-3 and PCI DSS just to name a few. 3. How can cloud computing help companies make money? It allows a smaller outsourcing firm such as us to compete against some of the largest, most well-known providers in the market. The Amazon costs are a fraction of what it would take for us to stand up and manage a large data center. There are exorbitant expenses when it comes to new capital investments every 3-4 years just to keep a data center up-to-date and compliant. Through cloud computing, entities are able to drive down operating costs through shared maintenance and infrastructure management for an optimal data center environment. 5. What key technologies are driving innovation and why? 6. How do you think cloud computing will drive innovation in the next ten years? Cloud computing is driving large amounts of compute power, data storage and application service delivery down the business "food chain." There are companies that are not even a thought in someone’s head yet that will use this technology to change existing business standards. Eventually, fast and virtual infrastructure will become required on a global scale for industries across the board. Before DDC USA, Eisele served for 12 years as the Division Vice President of Insurance Services at Xerox. His division consistently earned over 35% in operating profits annually for the past seven years and found at a minimum over $1 million in operational costs saving every year. In addition to Amazon infrastructure, DDC USA also offers clients a revolutionary cloud-based document and content management service called DDC Host. DDC Host provides users with easy access to records via the web anytime, anywhere, 24/7/365. This enables our clients to easily view mission-critical data securely online, any time, in user-friendly templates that can be customized to meet your needs. In short: DDC Host puts vital documents in the hands of people who need them when and where they need them, with no special hardware or software requirements. To see how we implement cloud-based applications to strengthen our delivery for our clientele, learn about our SaaS (DDC Host) and our Amazon-built infrastructure.